The American Med Spa Association defines a medical spa as a “hybrid between an aesthetic medical center and a day spa” with four core elements: (1) the provision of noninvasive (i.e., nonsurgical) aesthetic medical services; (2) under the general supervision of a licensed physician; (3) performed by trained, experienced and qualified practitioners; (4) with on-site supervision by a licensed health care professional. 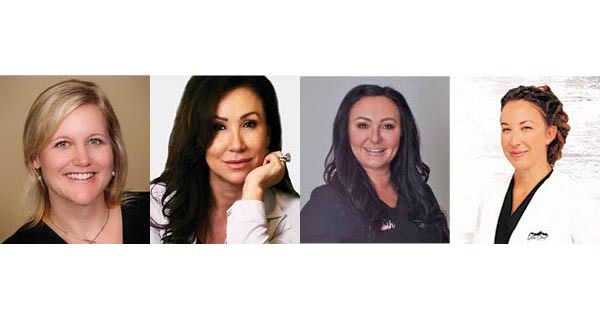 We spoke with the owners of four medispas in Rochester—Anew Medspa Clinic, Essence Skin Clinic, Posh Facial Esthetics and Med Spa and Slow Coast Spa—to find out about the services they provide and to understand why people come to their clinics for treatments. We also wanted to learn more about the owners’ backgrounds, how they chose this line of work and what differentiates them. A longtime resident of Rochester, Dr. Hagstrom attended Mayo Medical School in the 90s and practiced family medicine at Olmsted Medical Center for several years. Dr. Hagstrom opened Anew Medspa Clinic 10 years ago. She opened the original clinic in downtown Minneapolis and relocated the clinic to Minnetonka five years ago. Four years ago, she opened Anew Medspa Clinic satellite clinic in Rochester. Dr. Hagstrom provides direct patient care, full-time. In the Rochester clinic, she is the sole provider for injections and laser services. Anew offers traditional neurotoxins, like Botox® and Dysport®. They also provide a full-spectrum laser platform for skin rejuvenation including fractionated laser resurfacing, “which is the most powerful, most results-oriented procedure we have for tightening the skin’s surface,” adds Dr. Hagstrom. Essence Skin Clinic offers a vast array of services. Sanneman explains, “We can do laser hair removal, veins, sun damage, brown spots, tightening of the skin, scars, acne—it all depends on what they are looking for. We can melt fat, we can freeze fat. There are just so many things we can do.” Each laser does different things. They also have an intense pulse light (IPL), which is not a laser. “We also do beta testing for some lasers to get FDA approval in the United States. We also educate physicians and nurses and laser practitioners that want advanced practices or laser companies that want us to help educate them,” Sanneman says proudly. Posh offers Botox, dermal fillers, microderms, facials, microneedling, chemical peels, laser hair removal, Ultherapy®, BBL (broadband light) and medical-grade skincare and lash products. Slow Coast Spa’s specialties include: laser resurfacing, IPL laser treatments, NdYag vessel treatments, laser hair removal, Botox, Juvederm, dermal fillers, Kybella®, suture/thread lifts, medical-needling, scar remodeling and medical-grade skin care products. IS A MEDISPA FOR YOU? While each of these medispas offer slightly different services, each one wants to help their clients fix imperfections and be more satisfied with their appearance. If you haven’t visited a medispa yet, but you’d like to bolster your appearance in one way or another, consider reaching out to a local medispa clinic and see how they can help you address areas of concern.